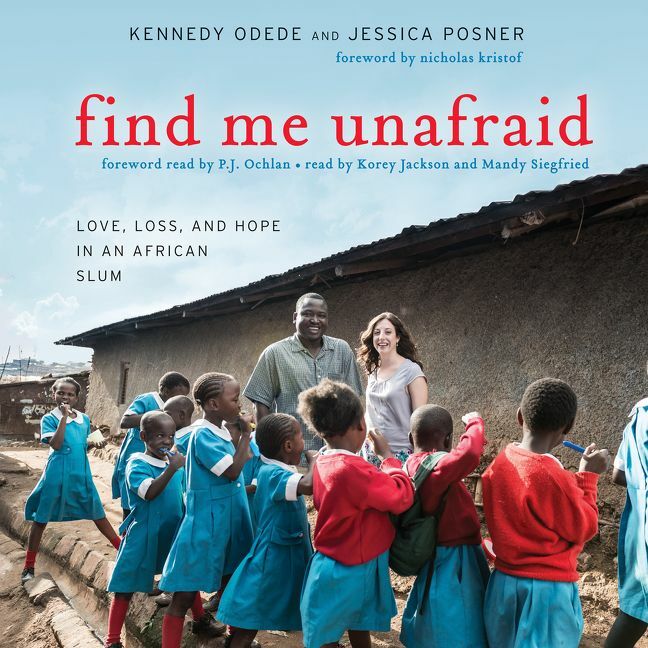 On Thursday, April 11, the First Year Matters (FYM) committee announced that the common reading for the Class of 2023 will be “Find Me Unafraid: Love, Loss, and Hope in an African Slum” by Kennedy Odede ’12 and Jessica Posner ’09. Each year, the FYM program selects a common reading for incoming students, which provides the class with a shared topic of discussion prior to arriving on campus, as well as an introduction to academics at the University. Odede will address the Class of 2023 during their orientation in the fall after they have completed the reading. The FYM committee, comprised of students, faculty, and staff, began meeting in October to discuss the Class of 2023 selection. According to Assistant Dean of Students Kevin Butler, the committee reviewed 32 nominations, selecting 4 as finalists. “Find Me Unafraid” details Odede’s childhood in Kibera, the largest slum in Nairobi, Kenya. Odede, who was named one of Classy’s 30 Under 30 and Changing the World, is also the oldest of eight siblings and became responsible for his family at age 10. He dreamed of changing the lives of women like his mother and sister, and, in 2004, Odede founded Shining Hope for Communities, a nonprofit organization that empowers urban youth and women. While living in Nairobi, Odede met Posner, who was working at a community theater during her semester abroad in Kenya. Odede and Posner fell in love, and Odede came to Wesleyan to pursue his bachelor’s degree on a full scholarship. After Odede’s graduation in 2012, he and Posner returned to Kenya to start the Kibera School for Girls, the first tuition-free K-8 school for girls in Kenya. The committee believes that, in addition to fostering discussions of identity and race, the book will serve as a prime example of the spirit of Wesleyan and its students. “[We] felt that a book written by two alums would be a great way to introduce a new class to the pragmatic idealism that has been central to Wesleyan’s mission,” Dean of Social Sciences Marc Eisner wrote in an email to The Argus. Erin Hussey can be reached at ehussey@wesleyan.edu and on Twitter as e_riss.